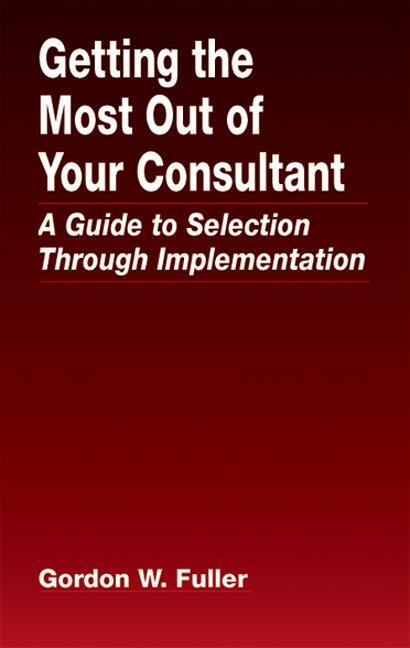 Consultants are a dominant force in the business world. At their best, they can pinpoint a company's shortcomings and suggest improvements-but many executives and managers do not know how to work with consultants in the most efficient and profitable ways. Let a corporate executive-turned-advisor explain about Getting the Most Out of Your Consultant, with solid advice on how to select, hire, and build a constructive relationship with a consultant. Consultants, Specialists, Experts, Advisers, and Gurus: Who and What Are They? What Services do Consultants Provide? What Benefits do Consultants Bring Their Clients? To Continue to Hire Consultant? Or to Expand In-House Resources?